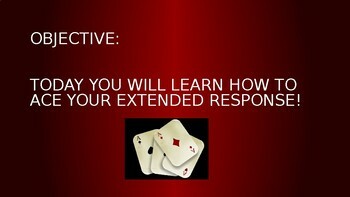 This PowerPoint goes over a strategy students can use to help them answer extended response questions called ACES. 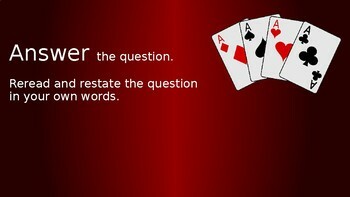 An explanation for each letter in the acronym is given and as each letter is explained, an example is provided for students. 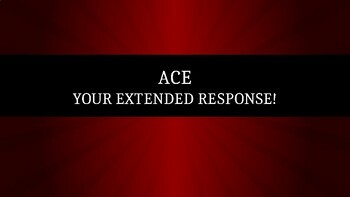 At the end of the PowerPoint, there is a sample ACES response. 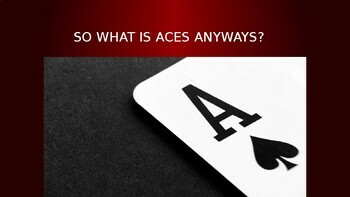 As a class, you can decide whether the student in the example did a good job answering the various parts of ACES. **Note: I also have an ACES graphic organizer for students to help them develop this skill as well as a rubric.